A rise in mortgage rates last week saw overall mortgage applications slip 5.6% from a week earlier. But the decline in apps tracked by the Mortgage Bankers Association’s Weekly Mortgage Applications Survey does not detract from the wider trend which shows increased demand. 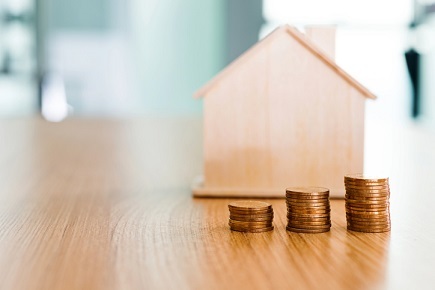 "Mortgage rates inched back up last week but remain substantially lower than they were in the second half of last year," said Mike Fratantoni, MBA Senior Vice President and Chief Economist. "As quickly as refinance activity increased in recent weeks, it backed down again in response to the rise in rates. However, this spring's lower borrowing costs, coupled with the strong job market, continue to push purchase application volume much higher. Purchase applications are now up more than 13% compared to last year at this time." The weekly data shows that the Index decreased 5% compared with the previous week on an unadjusted basis. The Refinance Index decreased 11% week-over-week while the Purchase Index increased 1% on both a seasonally-adjusted and unadjusted basis. The refinance share of mortgage activity decreased to 44.1% of total applications (47.4% a week earlier). The ARM share decreased to 7.6%. The FHA share of total applications increased to 9.6% (from 8.8%); the VA share increased to 11.1% (10.4%); and the USDA share remained unchanged at 0.6%.